When creating a brand for your company do not use an American celebrity to shoot chocolate bars at innocent bystanders. 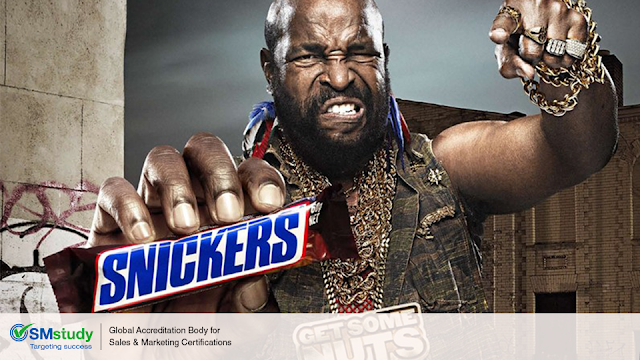 Apparently Mars, the company who produces Snickers chocolate bars, did not get the memo. In this case, the campaign did not just humiliate homosexual men, which makes up 1.8 percent of the male population, but also men perceived to be “wimpy”. The campaign only targeted men that are rugged and tough, which does not help a company when it comes to forming target segments. Companies can benefit from providing their employees with the knowledge that can be found in the SMstudy Guide®. If only Mars had been aware of what a Sales and Marketing certification can do for its company, they may have eluded a very big marketing fail.